The correct boot size is one of the most crucial things to get right! 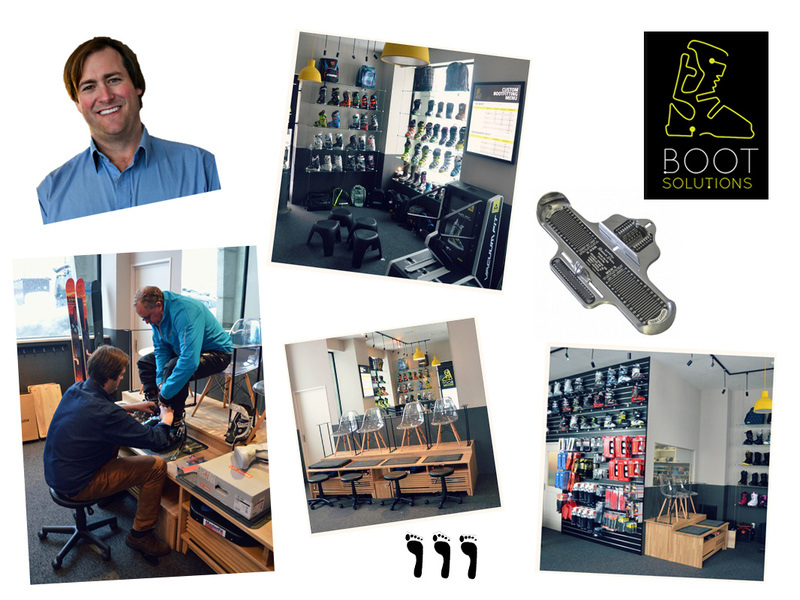 While shape and flex are important factors when choosing the correct ski boot, for this article we will focus on size considerations. Having the wrong size may lead to many problems and ultimately the premature need to have new, correctly sized boots fitted. Incorrect sizing from another retailer or boots purchased online is the number one problem encountered by our boot fitters. There are many considerations to be made depending on the shape of the foot and the skier type as well as personal preference, however, as a general rule, the boots must be as close to the correct size in length as possible. Ideally the skier will have just enough toe room to keep warm and prevent the toes from pressing into the end of the boots. Quite often your ski/snowboard boot size will be smaller than your shoe size. 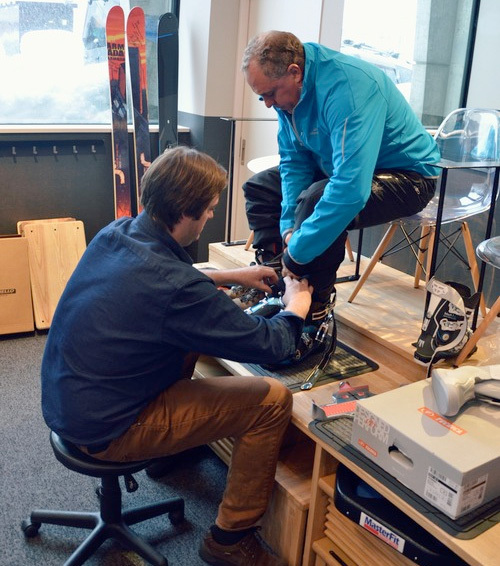 When a ski boot is brand-new, the liners have not been fully moulded to the contour of the shell, and so it is very common for people to perceive the out-of-the box fit as too small. All good bootfitters will double-check the available room that your foot has by removing the liner and placing the foot in the boot shell. This enables them to examine the interface between the foot and the interior shell of the boot, taking into consideration not only the length, but also the width and height of the boot, as this ultimately determines the fit. 1. Your foot size may change with added orthotic support. Your foot type can also have some bearing on the right size for you: Some people’s feet can splay significantly without innersole support. The addition of a custom footbed/orthotic can often significantly alter the size of the foot due to splay-reduction to the point where a smaller size may be more appropriate. This is a consideration any master bootfitter will take into account after assessing your feet. 2. Not all boot brands and models have the same sizing standards! Most boot companies display the sizes of their boots in mondopoint, which is a standardised measurement system, however, there is slight variation from brand to brand and model to model which makes physical assessment of the foot in each boot a necessity. In some circumstances, you may have a foot which suits two different sizes depending on the different models. Ski boots generally change their shells in full sizes. Most companies make boots that go up a full size for each change in sole length (the actual length of the plastic shell from heel to toe), ie 26/26.5 = 305 mm, next size up 27/27.5 = 315mm, 28/28.5 = 325mm etc. This means that essentially there is little difference in half sizes in ski boots. Some brands chose to split the half sizes, ie 27.5/28= 320mm, 28.5/20=330mm etc.